And actually standing with the Donald was so hot a few years ago. My friend John Tabin catches Mark Levin, the smart and irascible radio host, in a sort of contradiction. Levin’s link is to a Breitbart follow on the Donald Trump/BuzzFeed controversy—day seven of this, now—which quotes Sarah Palin as a critic of the website. 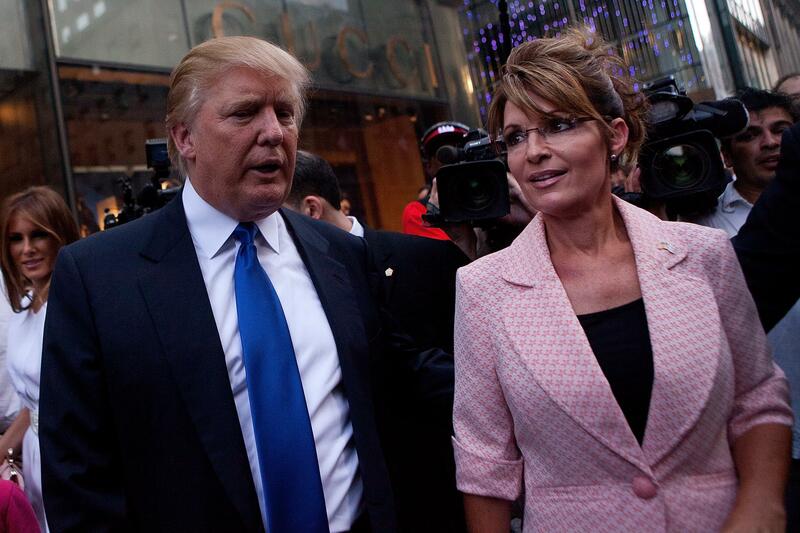 Palin, a former reality show host who briefly attracted national political interest, tells a Breitbart reporter that BuzzFeed’s McKay Coppins can’t be trusted: “This nervous geek isn’t fit to tie the Donald’s wingtips.” It sounds like a parody of a Palin quote, but seems legit. Tabin’s link is to a story, not three years old, about Mark Levin criticizing Donald Trump’s threatened-but-never-acted-upon run for president. Levin played a clip of Trump on NBC vowing to always protect Medicare for senior citizens and saying “I think Paul Ryan is too far out front with this issue, I think he ought to sit back and relax.” When Trump instead suggests the budget problems could be fixed by taking on China and OPEC, Levin stops the clip and angrily yells “What the hell does that have to do with Medicare? Does this guy sound stupid or what?” Levin is outraged over Trump not having any idea about Medicare and demanded to know why “when Medicare is going to collapse Mr. Businessman” you want Paul Ryan to sit back and relax? Whar changed in 34 months? Trump was the subject of an unflattering media profile. He stopped being a fake conservative and started being (for some loud conservative pundits) a member of the tribe, a fellow victim. The Duck Dynasty phenomenon was one thing, as the Robertsons were obvious social conservatives before they were embraced by Republican politicians and Palin. Trump? He’s not on their side, but he’s whining about the media, so into the foxhole they jump.